Includes a black and white striped jumpsuit with tattoo print sleeves and a black and white striped hat. Upload your photos to Instagram with the hashtag #funidelia followed by #funidelia20434. 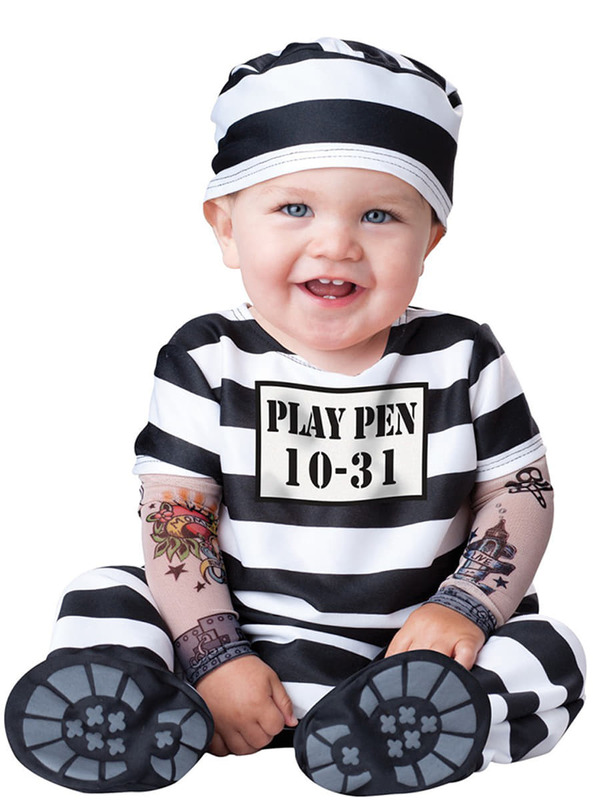 Product Rating: "Prisoner Baby Costume"